Epstein-Barr virus (EBV) is a human herpesvirus that persists in the memory B-cells of the majority of the world population in a latent form. Primary EBV infection is asymptomatic or causes a self-limiting disease, infectious mononucleosis. Virus latency is associated with a wide variety of neoplasms whereof some occur in immune suppressed individuals. Virus production does not occur in strict latency. The expression of latent viral oncoproteins and nontranslated RNAs is under epigenetic control via DNA methylation and histone modifications that results either in a complete silencing of the EBV genome in memory B cells, or in a cell-type dependent usage of a couple of latency promoters in tumor cells, germinal center B cells and lymphoblastoid cells (LCL, transformed by EBV in vitro). Both, latent and lytic EBV proteins elicit a strong immune response. In immune suppressed and infectious mononucleosis patients, an increased viral load can be detected in the blood. Enhanced lytic replication may result in new infection? and transformation-events and thus is a risk factor both for malignant transformation and the development of autoimmune diseases. 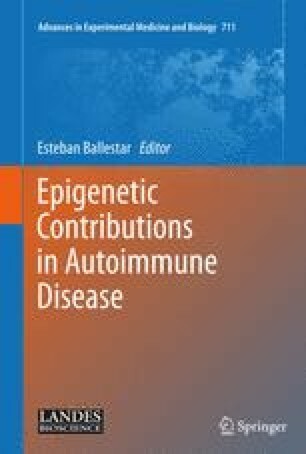 An increased viral load or a changed presentation of a subset of lytic or latent EBV proteins that cross-react with cellular antigens may trigger pathogenic processes through molecular mimicry that result in multiple sclerosis (MS), systemic lupus erythematosus (SLE) and rheumatoid arthritis (RA).